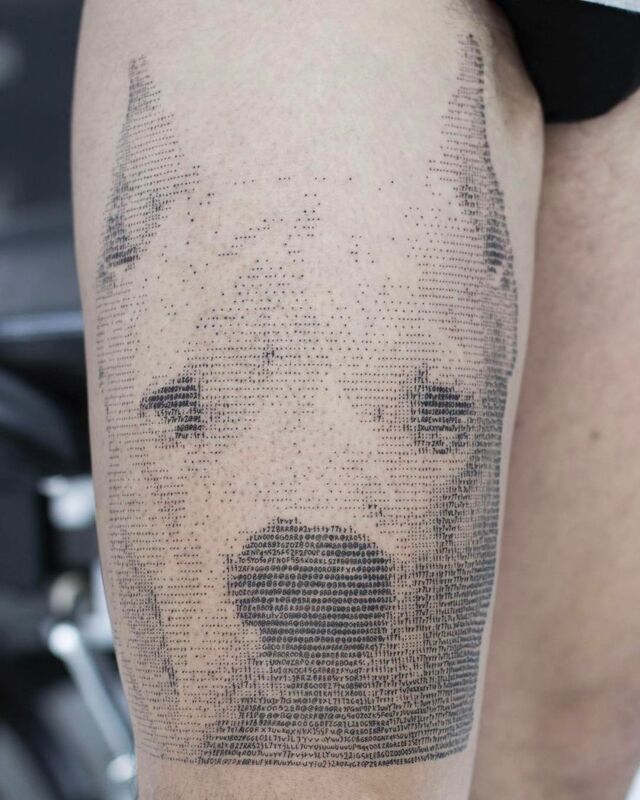 Andreas Vrontis A tattoo artist from the island of Cyprus draws tattoos based on the ASCII computer code. Signs and symbols that the artist combines in bulky portraits of celebrities, ordinary people and even animated characters. 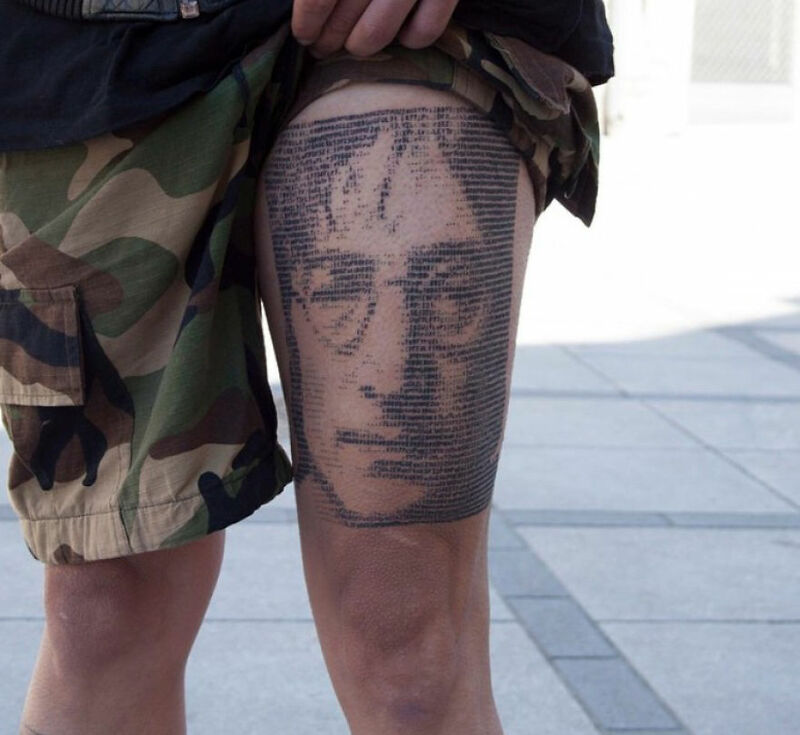 In 2015, Vrontis created the first sketch for an ASCII-style tattoo – a portrait of John Lennon. 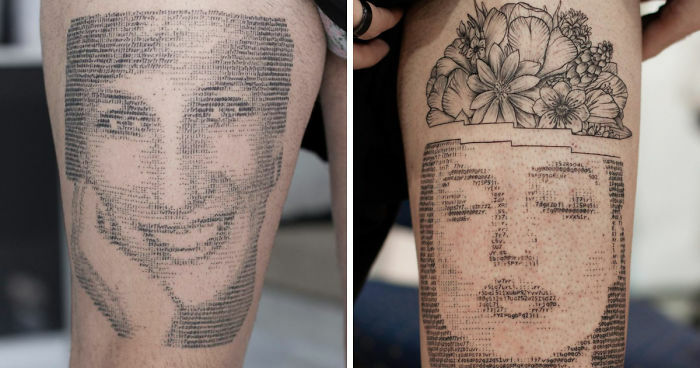 This work brought him not only fame among fans of tattoos, but also a victory in the competition of the International Congress of Best Tattoo in Show. 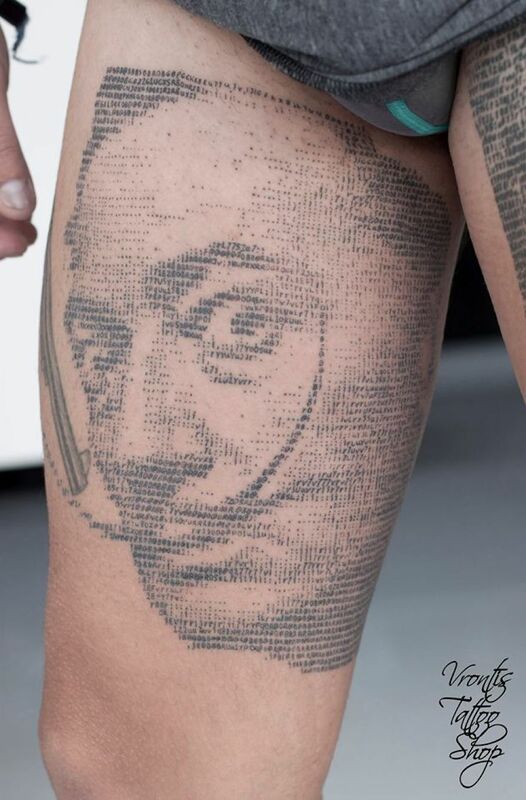 Is the one on the top Harry Potter? 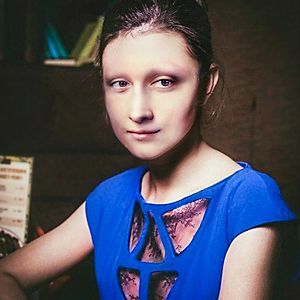 I have to say it's not a style I'm a fan of. 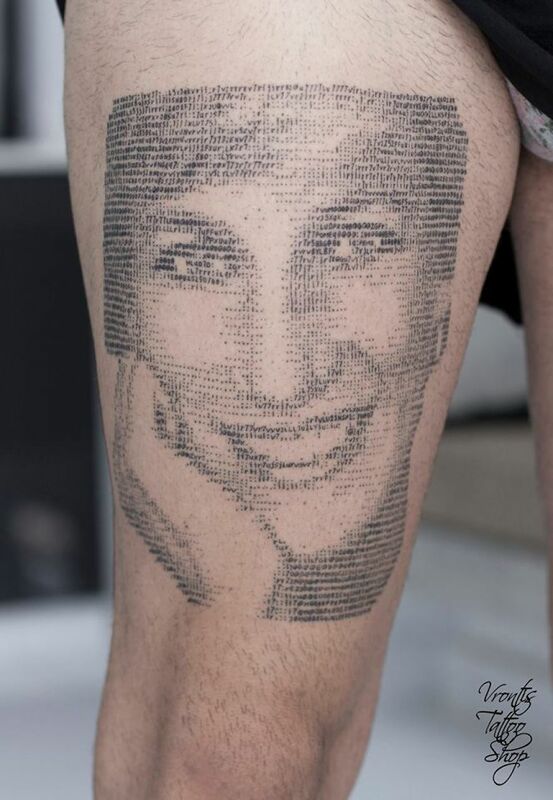 That said at least I can tell Who the tattoos are of unlike some of the truly terrible tattoos of faces on other threads here. What language is this "computer code"?